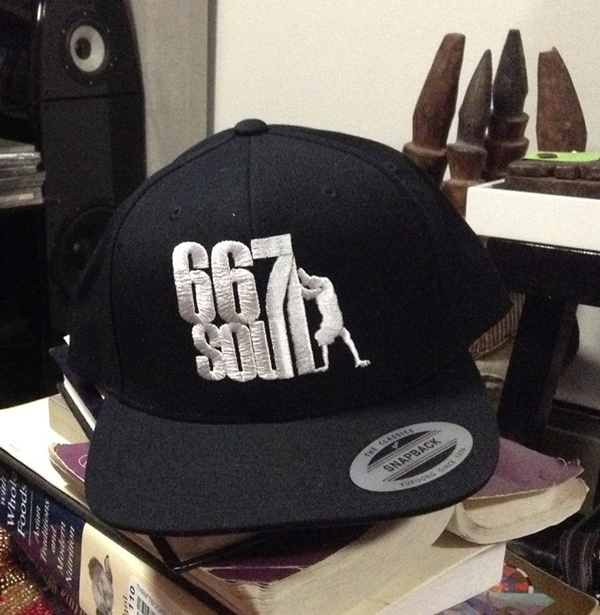 Get Your 667SOUL Gear Here! MAKE SURE TO CLICK THE SHIPPING BUTTON OR YOUR ITEMS WILL NOT BE SHIPPED! 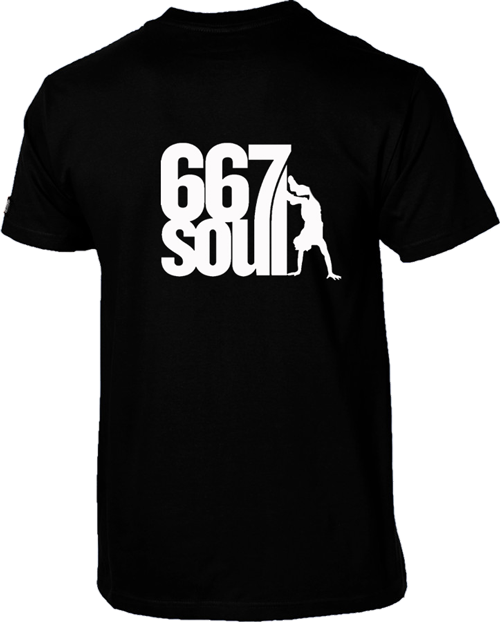 These 667Soul T-Shirts come in a cotton blend, all-black with a white silkscreened 667 Soul patented logo. Sizes are small, medium, large, extra large and 2X large. All are only $15 each during this introduction period. Get yours now before prices go up! Simply select your appropriate size and click on the button to the right. The 667Soul Cap is all black with quality embroidered stitching (not just an applique) of the 667 Soul patented logo in white. One size fits all via the adjustable Snap-Back clasp. Price for the embroidered cap is $20 and yours by clicking on the button to the right. 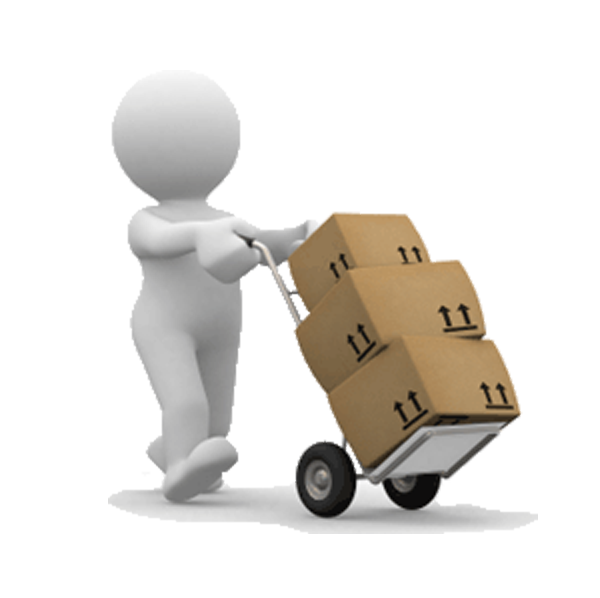 Shipping - Please click on the button to the right to add just one shipping cost to your total order. All items shipped via USPS. (Only one shipping cost per order, no matter how many items you purchase in one order.) YOU MUST PUSH THIS BUTTON ONCE TO COMPLETE YOUR ORDER.